Ten years ago I was just leaving high school on a journey to the great state of Texas for military basic training. To be honest, I was a little bit scared (too much Full Metal Jacket filling my head). Ten years later, I wouldn't trade my military career for anything and the FMJ nightmares are all gone now that I've met R. Lee Ermy in real life and realized he's a pretty cool cat. 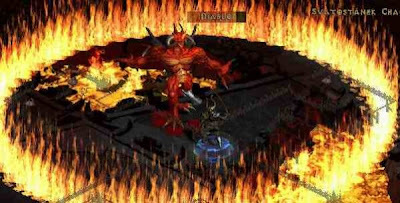 Also, ten years ago as of yesterday, Diablo 2 was released. Happy belated birthday!